Lead ​3 ​Symposium ​exists ​at ​the ​intersection ​of ​leadership, ​technology ​and ​innovation ​and ​provides ​educational ​leaders ​a ​venue ​to ​connect, ​share, ​and ​learn. ​Lead ​3 ​is ​the ​place ​to ​connect ​with ​over ​400 ​educational ​leaders ​seeking ​new ​technology ​solutions ​to ​improve ​teaching ​and ​learning. ​The AAA 4 Diamond Hilton Los Angeles/Universal City sits high atop the Hollywood Hills, providing stunning views of glittering Los Angeles from all of our guestrooms. 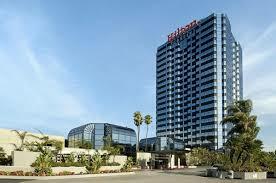 We are conveniently located next to Universal Studios, Universal City Walk, and other famous Hollywood landmarks. Reservation cut off date was March 27th. The Lead 3 Room Rate is still available - contact dniggli@helmsbriscoe.com to access the Lead 3 Room Rate.